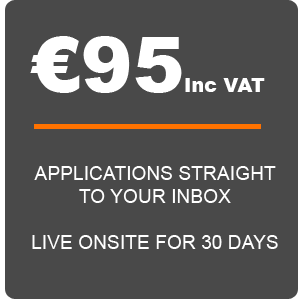 You have accessed your dream job on www.recruitauto.ie and submitted your CV. Now that you have secured an interview, what should you do next? You need to make a strong impact, giving the right impression in a short time frame. Use every tool at your disposal to win confidence and trust. Your clothes should send out the impression that you are professional, trustworthy and well-groomed. If in doubt, play it safe in terms of colour and cut. Keep the focus on your message, not how you look. Interview questions can often catch you off-guard, but with good preparation you can turn this to your advantage. Prepare for the unexpected. So, why do you want to leave your current job? What are your strengths and weaknesses? Ask a friend or family member to conduct a mock interview. Preferably find someone who has experience conducting interviews. This preparation can help ensure that there is no stuttering or difficult silences in the actual interview. Give yourself the best chance of getting the job by staying calm and explaining why exactly you will be an addition to the company. If you get too flustered you will not do yourself justice and your are more likely to give confused answers. Remember, there are stressful times in every job, so demonstrating an ability to keep cool under pressure is another valuable asset for your employer. To arrive at the interview on time, you will have to arrive at your destination well in advance of the interview. Traffic delays, accidents and difficult to find locations can result in a missed interview. Make sure you know exactly where the interview is taking place and where in the building it is taking place. Arrive outside the door of the office in question well in advance of your interview and take time to collect your thoughts. While outside the door of your interview, take some deep breaths, relax and focus. Ensure you have your CV with you and think about the answers you will give to questions. In the interview, speak more slowly than you would normally. You will more than likely be a little excited, so by speaking slowly, you will probably be speaking at a more normal pace. Don’t slouch, sit upright in your chair and don’t fidget. In the midst of an interview that you feel is going really well, an interviewer can sometimes ask a question that seems hostile. Don’t feel threatened, it isn’t personal, and don’t snap back an answer. If you are not sure about the question, ask the interviewer to repeat it and answer in a friendly fashion. You don’t have all the answers and nobody expects you to. Answer the questions put to you as best you can, be prepared, honest and be yourself. Before the interview concludes, make sure that you ask for the job and tell the interviewers that this is a job that you really want. Don’t forget to thank the interviewers at the end of the interview and don’t forget to smile occasionally!